The long story of this research paper probably starts with my wife’s grandfather, Owen Tracy. He was a submariner in the First World War and was fit enough to climb into a modern Royal Navy submarine on his 100th birthday. I am a medical epidemiologist, and this set off in me an enduring fascination with why some people are still active at 100 years old, while most people develop serious disease in their sixties or seventies. Genetic effects for common conditions are often small, so the UK Biobank study of 500,000 volunteers provided a world leading opportunity to study ageing. Linking volunteers’ anonymised genetic data to NHS hospital records is providing a gold mine for health research. I cannot thank enough the people who took part and who led the UK Biobank. Without taxpayer’s money and the Medical Research Council, our work on haemochromatosis wouldn’t have happened. Like most science, this was a group effort, with work spanning the Universities of Exeter and Connecticut, as well as the US National Institute on Aging. We tested genetic variants reportedly influencing iron levels for associations with muscle loss, arthritis, and diabetes. Iron causes oxidative damage, with a leading researcher on centenarians advising people to limit dietary iron intake. After preliminary analyses, it became clear that most iron raising variants had little effect on ageing or disease. However, the UK Biobank volunteers who had two copies of the main haemochromatosis “C282Y” mutation (i.e. the homozygotes) had much more disease than expected. Patients with haemochromatosis often present with severe tiredness, arthritis or liver disease, and the condition was thought to mostly develop in 40 to 60 year olds. Studies in family members suggested that homozygotes often get associated diseases, but community studies found the opposite, with one leading study in 2002 concluding that less than 1% of homozygotes developed “frank clinical hemochromatosis.”  This and other findings of low penetrance led to a policy of screening close family members only, but not offering testing to the general public. In retrospect, in my view, these early studies were too small, and included too few older people. Some clinicians thought of people with the mutations as being safe if they didn’t develop disease by the age of 60. One of the surprises in our research study was finding higher incidence of disease in 60 to 70 year olds in the Biobank follow-up. We eventually found a paper from the eMERGE network, with genotyping and health records from seven US hospital systems. That analysis estimated that by age 90, nearly 50% of male and 25% of female p.C282Y homozygotes had a diagnosis of haemochromatosis. In women especially, many diagnoses were made in old age. So, hereditary haemochromatosis does commonly present in older people, just as we found in the UK Biobank. The story had other twists. Although C282Y homozygotes had more liver disease, arthritis and diabetes, they also had less cardiovascular disease. The lower cardiovascular risk suggested a reason for the controversy about death rates: although the homozygotes sometimes die early of liver cirrhosis and cancer, the lower cardiovascular rates may mask these excess deaths. A second twist was that haemochromatosis was originally thought to be due to environmental factors, but a hereditary cause was first published by Dr Joseph Sheldon in 1935. Sheldon went on to lead a landmark survey of the poor care elderly patients were getting. We can only wonder what he would think of modern genetics showing that hereditary haemochromatosis causes so much potentially avoidable morbidity, including in older people. 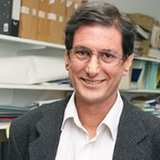 David Melzer is Professor of Epidemiology and Public Health, University of Exeter Medical School, and Professor, Center on Aging, University of Connecticut Health Center, CT, USA. Competing interests: Please see declaration on research paper. Jenny Vaughan: How can a “just culture” truly develop in healthcare?